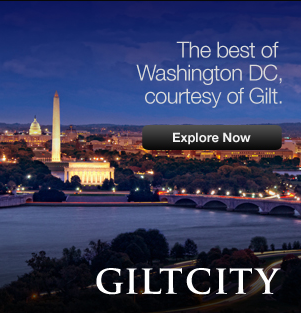 Gilt City DC launches on August 1! The exclusive preview events from the past two weeks have sold out within minutes and I expect that Gilt City DC will be the place to find carefully selected, unique experiences in Washington, DC. 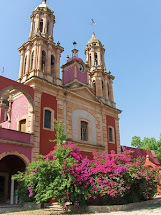 There are so many ways to see the city and the myriad of entertainment, dining and shopping is sometimes mind boggling. So when the peeps at Gilt asked me to put together my favorite experiences in the city, I jumped at the chance. I were a curator of unique experiences for Gilt City DC, I would offer a delightful luxury afternoon adventure that would leave participants gorgeous from head to toe – in only 1 city block! We’ll start at the top with a visit to IPSA For Hair for perfectly blown out hair, a fabulous cut, or color that has made this salon a top choice for fifteen years. 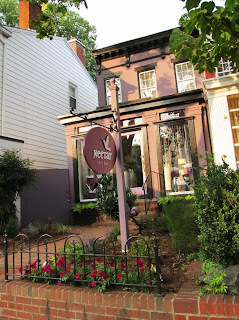 Then, walk a few steps to the newly inaugurated Nectar Skin Bar for a LashDip mascara treatment, which lasts for up to 6 weeks and for which Nectar has exclusivity in Washington. 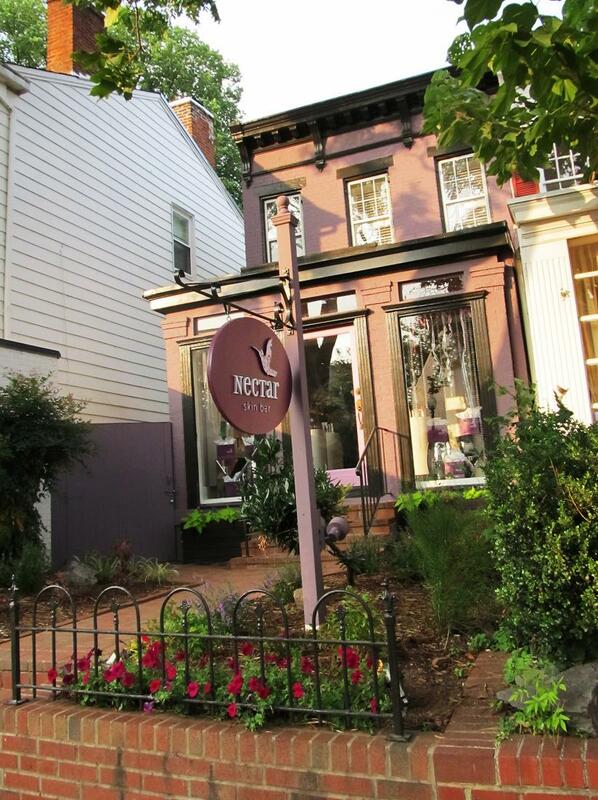 Relax in the peaceful outdoor garden at Nectar Skin Bar before your next stop in the head to toe gorgeous experience. “Authentically preppy" may be one characterization for Sherman Pickey, but it’s my favorite shop to find all of my favorite brands including Lilly Pulitzer, Jules Reid, Elizabeth McKay, and more. This fall, Ethan and the other Sherman Pickey peeps are introducing Darling, a gorgeous collection from London that offers a vintage, ethereal look that is structured and polished. Pick up a new ensemble or two, and walk to the final step in the adventure. Sassanova completes your head to toe gorgeous afternoon in one city block of a quaint Georgetown street. Now that your hair is gorgeous and you’re dressed to the nines, you only need a pair of shoes to complete the look. 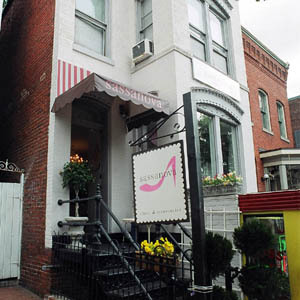 Sassanova is a cute store offering great service to find adorable shoes from designers like Kate Spade and Tory Burch. In just a few steps, you have everything you need to get you ready for a night out on the town, a special event, or just because you deserve it! 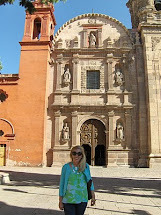 Beauty, fashion, and shoes in one block. I think it would be the perfect item for Gilt City DC, don’t you? Please share this post via Twitter. Be sure to include the hashtag #cityscoop and @GiltCityDC in your tweet. If my post is one of two receiving the most tweets for Gilt City DC, I’ll have a $100 Gilt City reader giveaway for Maryland Pink and Green. How would you spend your perfect afternoon for head to toe gorgeous? Where would you go? 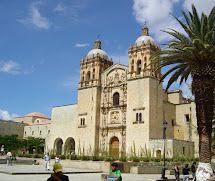 thank you for this posts! 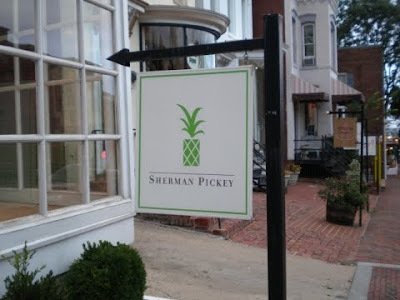 I visit DC once a month or so and I must check out these shops! I can't wait until it reaches the west coast! I love gilt groupe. Just tweeted! These spots are definitely on my bucket list for my next trip to DC!! Oh my gosh, I die! Perfect timing too, since Sassanova and Sherman Pickey are both having the 50-60% off sales right now. If I had a Twitter, I would definitely tweet for you! Thank you all for your support! I really appreciate it. Gilt is so fabulous and I'm thrilled to welcome them to DC. SnailGal! Thanks for the sale tip. That makes this even sweeter.